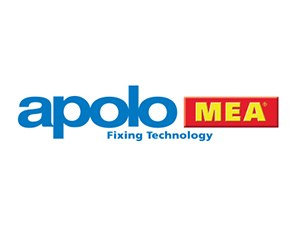 Apolo Mea Bfs: Combining solutions, building strengths. Mea Befestigungssyteme Gmbh a German company, located in Bavaria, is specialized in the manufacturing of light and heavy duty fixings. Mea products have a well known reputation in the German market and also throughout the more than 35 countries where they are distributed. · High commitment and more resources to invest in new products development, improved manufacturing and logistics. · Very important increase of sales in South Europe and South America, traditional stronghold areas for Grupo Celo. · New opportunities to distribute in Germany a wide range of Celo technical screws and Apolo support systems and fixings. The core competences of Apolo Mea Bfs. Technical expertise, innovative developments, and design-engineering expertise have traditionally been characteristic features of Apolo MEA Befestigungssysteme. Now more than ever, these competences have been reinforced, and as a result we have been able to launch new products to the market at a speed of one new product every 3months: New Resifix chemical Anchors, New chemical capsules, Stick Fix, MFR10HD, MFR8, IPL65, IPL90, BAZ option 1 in steel, A4 and HD. Additionally , we have been gradually introducing exiting products such as Apolo cable ties, Abranyl light duty clamps, RI heavy duty clamps, etc. There is no compromise with quality. Only with the best high grade raw materials we are able to achieve the best technical properties of our products. Every person at our production and quality departments know about the high requirements of our products and work with care and dedication to meet our high quality standards.